Quickly alert patients, staff and families. Hospital and medical paging systems improve your workflow, and keep you notified when facilities need maintenance. 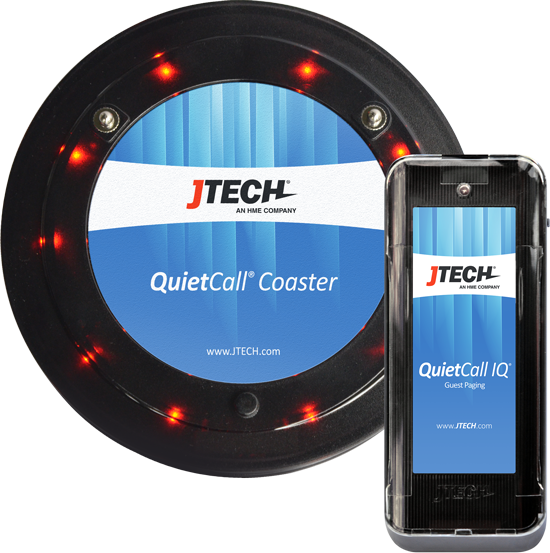 Find the best-selling coaster pagers, vibrating pagers or flashing pagers to alert your patients. 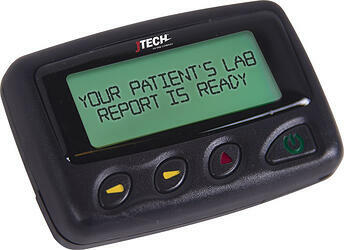 Use staff pagers with the best coverage in the industry for healthcare management and staff. Numeric code is ideal for quick & easy communication. Choose silent, vibration, tone or musical alerts. The push button transmitter is battery operated and is available in 1 and 3 button options. 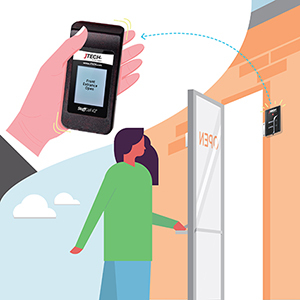 This paging solution is ideal for wireless call and automated service alerts. 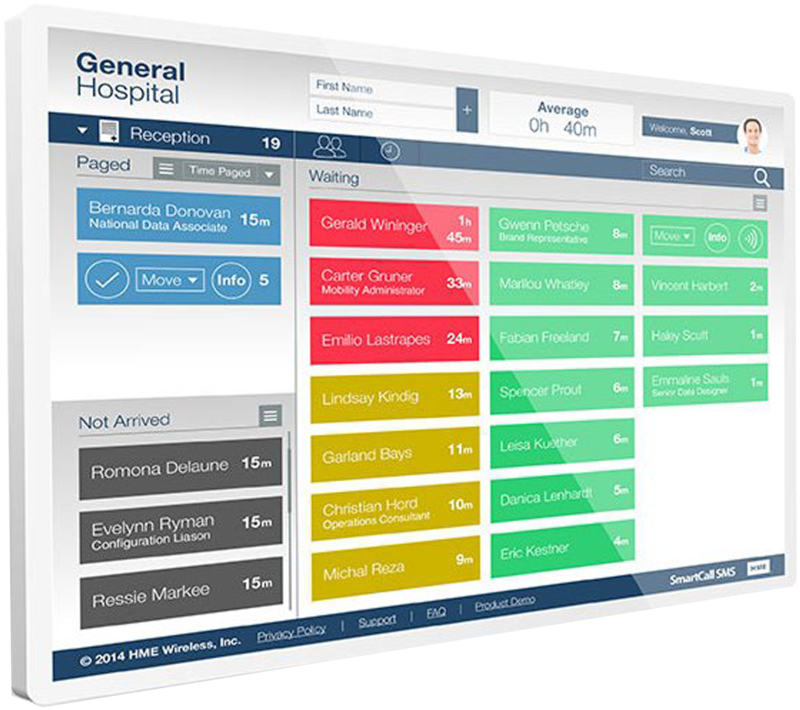 Integrate the latest wait list management app with pagers and other products. Add components as business grows. 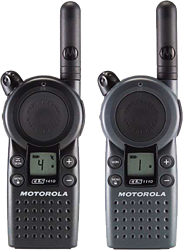 Organize highly productive teams by connecting them with Motorola business class two-way radios. Maintain a clean environment by servicing restrooms based on the amount of traffic detected. Specifically designed for healthcare, SmartCall Messenger is HIPPA compliant. Notify patients and customers via pager or text message. 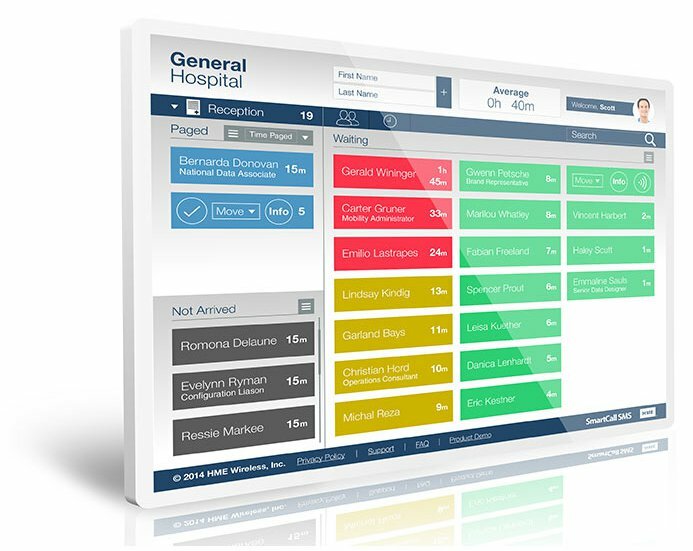 Add notes for staff, view wait times and easily integrate your healthcare paging system.